When you deal with an incident that gives rise to an insurance claim, it’s usually a pretty crappy situation. It can be stressful, terrifying, frightening, and alarming in many cases. First things first, try not to panic. Hopefully it’s an incident you carry insurance for to be protected. Your insurance contract requires that you report all claims promptly. Contact your insurance carrier or broker as possible after a property, liability, worker’s comp or automobile claim. An insurance company claims adjuster will be assigned to handle your claim. You should then be able to deal directly with the adjuster to settle your claim, but your broker can be there with you to assist you along the way. Here’s step-by-step suggestions on how you should handle property, liability, workers compensation, and auto insurance claims. Call the proper authorities and utilities (gas, electric, telephone). Take photos of the damage before having emergency repairs made, such as boarding up windows or covering holes in the roof. Call your insurance broker or carrier to report the loss. Call a contractor to estimate the building damages. Separate damaged contents from undamaged contents. Do not discard any items until the claims adjuster gives you the authority to do so. Keep records of expenses if you are forced to temporarily relocate your business. Do not authorize repairs until the claims adjuster has given you the authority to do so. 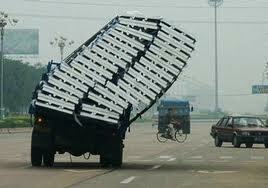 Call your insurance broker or carrier to report the claim. Forward any correspondence, including a summons from an attorney representing the other party. Do not discuss the claim with the other party or their attorney. Refer them to your insurance company’s claims adjuster or to us. Complete the Employer’s First Report of Injury or Disease form for all claims. Either use the “call in” reporting system or fax the original form to the insurance company. Forward a copy of the First Report to your broker in the event of a disabling injury or death claim. They should follow-up with the insurance company for their prompt handling of the claim. Contact the insurance company to question the status of a claim. If you experience delays or have questions, contact your broker for assistance. Auto and driver’s license numbers. Have your vehicle towed to the nearest repair shop if the vehicle is not drivable. Do not authorize repairs until the claims adjuster gives you the authority to do so. Call your insurance broker or carrier to report the accident. Report the vandalism loss or theft to the police. Call us to report a loss. You should not talk to others involved in the accident, but refer them to your claims adjuster. Working as a broker, I work with a lot of different carriers on behalf of my clients to place their business insurance. One of the major carriers that I work with is The Hartford, an AM Best A (Excellent) XV ($2B or Greater Financial Size) rated carrier. The Hartford’s a great carrier to work with if you have a small business. Interested in what they have to offer? Contact me anytime to discuss. Maybe we can find you something competitive backed by great coverage. Here’s a new video featuring their focus on small businesses insurance. On any given workday, you may have employees on the road operating a variety of vehicles. Whether you provide company vehicles or your employees use their own vehicles, commercial auto insurance is a must. Commercial/ business auto insurance provides coverage for cars, trucks and vans used by you or your employees for business purposes. Your business vehicles are not covered by your businessowners policy or personal auto insurance, so you must buy a separate policy. 1. Is coverage mandatory for a business that uses vehicles? Yes. Just like with personal auto insurance, it’s against the law to drive a vehicle without insurance to cover injuries or damage to others that an employee causes as a result of a car accident. 2. Is Business Auto Insurance better than Personal Insurance? Business Auto coverage is similar to the coverage you may carry on your personal auto policy; however, business auto exposures can be more complex requiring specialty coverages to be considered based on individual business needs. 3. How do I find out about what’s out there? The most effective way to compare rates and coverage available to you is through an independent agent or broker. They should be able to point you to the right type of policy based on the type of business you have and how you use your vehicles. 4. What can I do to influence the premium I pay? The best ways to keep rates down is to make sure that you’re a safe driver, hire and employ safe drivers and use less expensive vehicles for your business. 5. What factors impact the premium I pay for Business Auto Insurance? Insurance premiums can be affected by everything from the type of business you operate, to the type of vehicles you own; to the radius you operate your business in, and the driving records of yourself and your employees. 6. What is the reputation of the insurance company? Make sure you do the research before moving forward with a Business Auto policy. Ask your insurance representative or go online to answer questions like — Do they have a long history? Are they reputable? Do they know your business? 7. What extra benefits are added onto the policy without additional cost? Every insurance company is different. So make sure to ask about extra benefits when shopping around, because they could prove useful when an accident happens and save you money in the long run. 8. Does coverage vary state to state? It definitely can. Each state has its own rules and regulations that can affect rates and types of coverage that an insurance carrier can make available to your business. 9. Are all my employees covered by my Business Insurance policy? They should be, but there are exceptions. This is a very important question to ask when you’re shopping around for the best Business Auto policy. 10. How does the claims process work? The process usually includes reporting an accident to both the police and your insurance company, assessing the damage, and working with a claims handler. When selecting an insurance carrier, be sure to ask about any benefits they offer in the event of an accident, like a network of repair shops where the work is guaranteed as long as the vehicle is leased or owned. If you’re a California driver, pay close attention to this one. 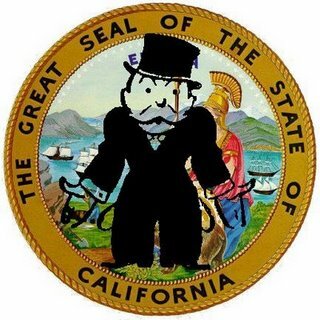 The Golden State of California is broke and is looking for ways to pay some bills. Aside from raising taxes like our brilliant politicians up in Sacramento like to do as a “solution” to all our fiscal problems, they looking to the highways to generate some revenue for their pockets. Take note of the following California traffic ticket fines which took effect on Friday, 1/6. Sorry, I’m a few days late on this. I received this information from an email. Apparently, these details were taken from an article in the L.A. Times. I tried to find it but no luck. If you come across the story, please send to me so I can give some credit to where it’s due. Rumor has it that the California Highway Patrol is under pressure to issue a lot more tickets than last year with at least 30% increase in fines over 2009, so beware of radar guns, highway and traffic cameras installed everywhere and the tougher enforcement of parking rules. VC 14600(A) $214 Failure to notify DMV of address change within 10 days Note: The fine may be reduced with valid proof of correction. VC 16028(A) $796 Failure to provide evidence of financial responsibility (insurance) Note: This fine may be reduced with proof of insurance on or after the violation date. VC 21453(A) $436 Failure to stop at a red signal. VC 22349 $214 Unsafe speed, 1 to 15 miles over the limit. VC 22350 $328 Unsafe speed, 16 to 25 miles over the limit. VC 22450 $214 Failure to stop at a stop sign. VC 22454(A) $616 Passing a school bus with flashing red signals. VC 23123(A) $148 Driving while using a wireless phone not hands free, first offense. VC 23123(B) $256 Driving while using a wireless phone not hands not free, each subsequent offense. VC 23123.5 $148 Driving while using a wireless device to send, read or write text. VC 23124 $148 Minor driving while using a wireless phone. VC 22500 $976 Parking in a bus loading area. VC 22507(A) $976 Violation of disabled parking provisions, first offense. VC 22507(B) $1876 Violation of disabled parking provisions, second offense. VC 26708 $178 Unlawful material on vehicle windows. VC 27150 $178 Adequate muffler required. VC 27315 $148 Mandatory use of seat belts. VC 27360 $436 Mandatory use of passenger child restraints. Note: This fine may be reduced by completing a court authorized child seat diversion program. VC 27400 $178 Headsets or Earplugs covering both ears. VC 27803 $178 Violation of motorcycle safety helmet requirements. VC 34506 $616 Commercial Driver – Log book violation. VC 4000 $256 No evidence of current registration. Note: The fine may be reduced with valid proof of correction. VC 4159 $178 Notify DMV of change of address within 10 days. Note: The fine may be reduced with valid proof of correction. VC 5200 $178 Proper display of license plates. Note: The fine may be reduced with valid proof of correction. So what do you think? Will these California traffic ticket fines convince you to be more cautious on the road? The infamous Rodney King, whose videotaped 1991 beating by police ignited the Los Angeles riots the following year, was arrested Tuesday afternoon in Southern California, suspected of driving under the influence. King was driving erratically and was taken into custody where he was evaluated and later arrested on suspicion of DUI of drugs or alcohol. He was also convicted of DUI for a 2003 traffic stop where he was found driving under the influence of PCP. Let this be a lesson about the costs of getting a DUI. Everyone knows drinking and driving is dangerous, but most don’t think about the possible financial repercussions driving under the influence of alcohol or drugs. You may have a few drinks at the bar, or even dinner for that matter and think no biggie, I just want to get my car home and avoid the cost of a $30 taxi ride. Well think again before getting behind the wheel. $30 is chump change compared to what you’ll be paying if you get nailed for a DUI. From court costs, fines and attorneys’ fees, to traffic school, probation and higher insurance premiums, expect to pay $10,000 or more for the experience here in California. Not to mention a big pain in the arse dealing with the bureaucracies and other non-financial hurdles you must go through in the process. Your car will be impounded. You will be charged a towing fee and pay for the privilege of having the local authorities look after your vehicle while you get the mess sorted out. There could also be a vehicle release fee. The ticker starts at $250 or more just to keep your car in your possession. You will need to post bail so that you may be released from custody until your first hearing. Your bail will vary depending on the county and circumstances surrounding your arrest, but can range from a few hundred to a few thousand dollars. If you don’t have that kind of cash on hand, you will call a bail bondsman. Bail bondsmen will typically ask for 10 percent of the total bond. If your bond is $5000, you’re still going to have to come up with $500 quickly. On a first offense DUI conviction, you will be fined not less than $390, and not more than $1,000, excluding court fees. California requires 96 hours of jail time if you’re convicted of a DUI, 48 of which much be served consecutively. Many judges allow this time in work service. All of this will likely result in some time off work, and for many people lost time means lost wages. DUIs remain on your criminal record for life if employers or future landlords do a background check. You will get a minimum of 3 years probation. Your insurance carrier may place a surcharge on your auto insurance policy for up to three years. However, because a DUI stays on your driving record for 10 years in California, a driver with a DUI will not be eligible for a good driver discount for up to 10 years. Pay a license re-issue fee of at least $125. To get your license back you will probably have to complete an approved alcohol education and treatment program at your own expense. If you get your license back it will likely be restricted and you may be required to install an ignition interlock device, also at your own expense. An ignition interlock device (IID) is wired to your vehicle’s ignition and requires your breath sample before the engine will start. If the IID detects alcohol on your breath, the engine will not start. As you drive, you are periodically required to provide breath samples to ensure you haven’t taken a drink since beginning your journey. Next time you’re out enjoying adult beverage’s, don’t let the alcohol do the thinking when it comes time to close your tab and leave the bar. Just print this blog post out and put it in your purse or back pocket to remind you the list of troubles you’ll be dealing with should you get caught for a DUI. Not to mention the danger you’ll put others in if you get behind the wheel. 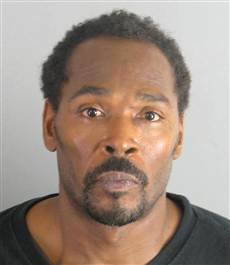 Case in point…..Rodney King. Have you seen this comical Lexus commercial on the air pertaining to distracted driving? This one really applies to everyone on the road. Auto accidents don’t announce themselves. After watching the video, check out the tips below to avoid distracted driving. Be safe out there. Be well rested and alert before driving. Keep safe driving as your first priority when driving. Consider taking a defensive driving course. Drink with a lid on your cup, only going slow and straight or stopped. Don’t hold a cup between your knees while driving. Pull to the curb to read a map or directions. Find out what landmarks are near your destination before arriving. Tell your passengers you need to keep your eyes on the road. Keep sun glasses within reach. Check rearview mirror BEFORE you enter a curve or turn. Keep both hands on the steering wheel in a curve or turn. Use restraints for your pet when you drive with them in the car. Take a look at this accident footage from Salem, NH. I feel kind of guilty writing this post from Southern California as virtually everyone east of us is getting hammered with snow, but I guess the cost of living makes up for it sometimes. With that being said, below the video clip are winter driving tips courtesy of Travelers Insurance. There wouldn’t be any legitimacy to these recommendations if they came directly from me. What does a Los Angeles native know about driving in the snow anyways?? Have a mechanic check your car’s battery, brakes, fluid levels (antifreeze, windshield washer fluid and oil), as well as the heating and exhaust systems to ensure that your car is in good, safe working condition. Try to keep your gas tank full during the winter months. Don’t allow the gas to go below half a tank. Not only will this prevent damage from freezing, you’ll avoid running out of gas if you’re stuck in a traffic jam during the dead of winter. Install snow tires or all-weather radials with adequate treads. An adequate supply of windshield washing liquid is critical to wash away the mud and melted snow that can severely limit visibility. Prepare for an emergency. Keep blankets, flares, a sack of sand for traction, shovel, windshield scraper and brush, tool kit, tow-rope, booster cables and a flashlight with extra batteries in your trunk. You should also stock your car with material for survival, such as waterproof matches to melt snow for drinking water, a first aid kit, dry clothing and a brightly colored cloth (to tie to the antenna). Take care pulling out of streets blocked by mountains of snow. It’s often difficult to see who or what is coming. Back your car into the driveway so you have better vision when pulling out. Be aware of joggers on the street. Often sidewalks are impassable and die-hard joggers venture onto the street for a clearer path. Unfortunately, they may not see icy spots or other hazards hidden below the slush. Don’t turn corners too tightly. If your car does not have anti-lock brakes and you start skidding on the ice, try not to slam on your brakes. Gently pump your brakes to maintain better control and prevent your wheels from locking. If your car does have anti-lock brakes, slam on your brakes when skidding on the ice. Pumping your brakes prevents the anti-lock system from taking over. Don’t travel alone. Notify someone of your estimated time of arrival as well as your primary and alternate travel routes. If STUCK, stay in the car and wait for help. Run the engine and heater sparingly. Also make sure your exhaust pipe is clear of snow and ventilate your car so that carbon monoxide fumes won’t poison you. Keep your energy. Eat food that provides the body with energy for producing its own heat. Replenish your body with fluids to prevent dehydration. Don’t eat snow; it will lower your body temperature. Melt it first.